Can technology improve even though people don't understand what they are doing? Beginning about 60,000 years ago, our species spread across the world occupying a wider range of habitats than any other species. Humans can do this because we can rapidly evolve specialized tools that make life possible in different environments—kayaks in the arctic and fishing weirs in the Amazon. How are we able to do this? Most scholars focus on our intelligence: people are better at causal reasoning than other animals, and this allows us to invent useful tools. New experimental work by an ASU research team published in the journal Nature Human Behaviour this week suggests that cultural evolution can generate new adaptive knowledge even though people don't understand what they are doing. The research team includes Origins Professor and Institute of Human Origins researcher Robert Boyd and former Institute of Human Origins postdoctoral researcher Maxime Derex. Even in traditional societies, human technology is often too complex to be the product of human ingenuity alone. The cultural niche hypothesis suggests that complex technologies result from the accumulation of many, mostly small and often poorly understood, improvements made across generations linked by cultural transmission. To test the researchers' hypothesis that beneficial changes over generations can produce cultural adaptations without individual understanding, the team studied cultural evolution in the laboratory with an exercise to simulate "generations" of improvements. In the first section of the experiment, participants were shown a wheel with four spokes resting on an inclined ramp. On each spoke there was a weight that could be move closer or further from the hub of the wheel. The task was to adjust the position of the weights so that the wheel rolled to the bottom of the ramp as quickly as possible. Participants were arranged in 14 groups or "transmission chains," with each chain five participants long. 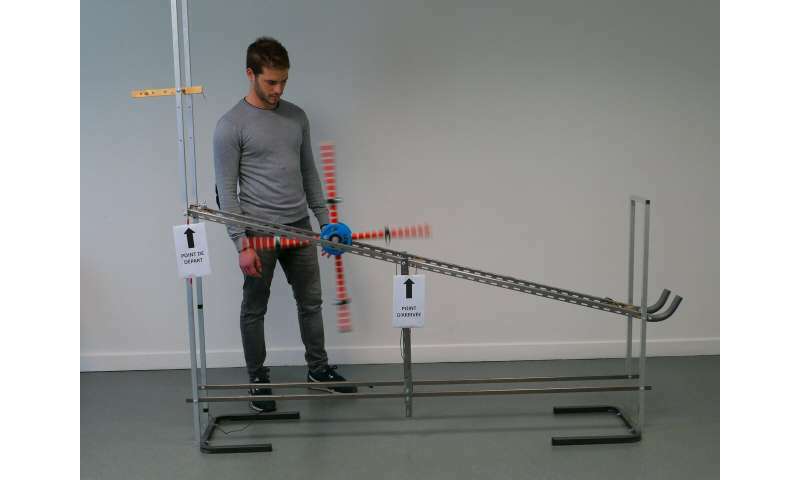 In each chain, the first participant got a few trials to experiment with the weights to improve how fast the wheel went down the ramp. 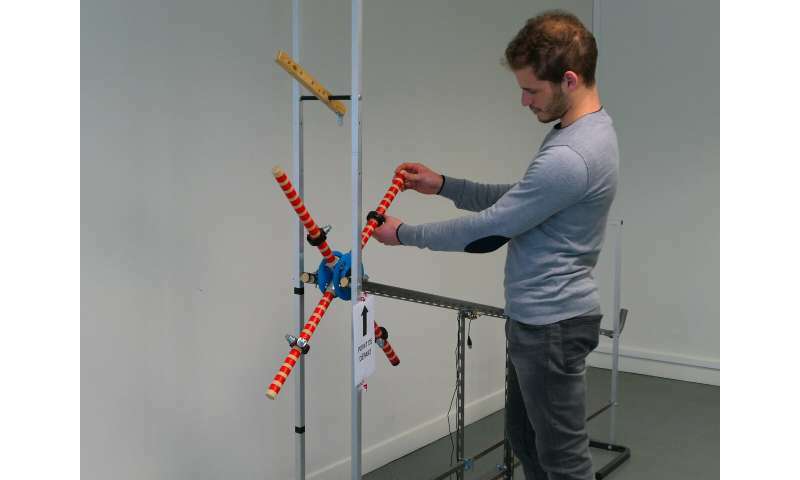 The second, third, fourth and fifth participant in the chain got see to how the previous participant adjusted the weights and then had a few trials to experiment. Averaged over 14 groups of participants, the results got better and better and, at the end of the last group, the wheels were going almost as fast as possible. But this happened without any increase in understanding. 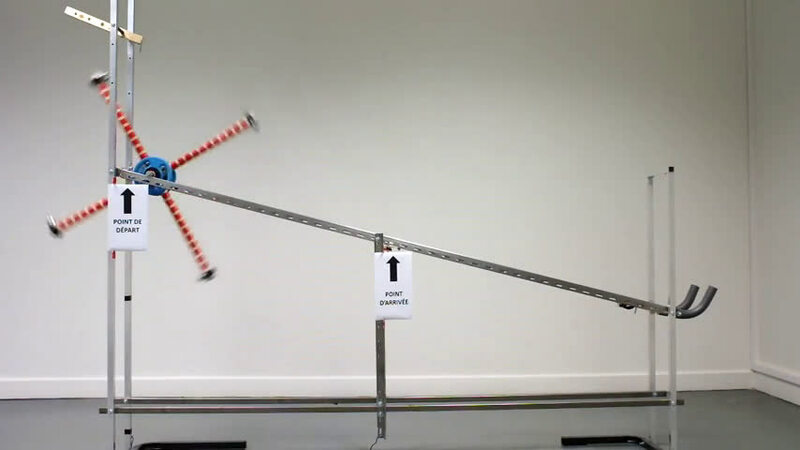 After the experiment, each participant was given a test of causal understanding and asked which of two wheels with weights in different positions was faster. However, there was no progress in understanding. Participants got better at the task even though their understanding did not improve. The first participant's responses were only slightly better than random choices, and the fifth participants had no better understanding than the first participant on average. Was the problem that participants could only observe what the previous member of the chain did, not why they did what they did? A second experiment shows that this is not the case. In a second version, participants were able to provide a written explanation of why they positioned the weights where they did. However, there was still no systematic improvement in understanding. Some participants had part of the explanation, but not the whole causal story. "Most participants actually produced incorrect or incomplete theories despite the relative simplicity of the physical system," says Maxime Derex, now the Marie Curie Fellow at the University of Exeter in England. "This constrained subsequent experimentation and prevented participants from discovering more efficient solutions." This experiment helps explain how cultural evolution generates very complex tools even in simple, preliterate societies. The construction of a kayak or fishing weir are complex, multistage processes that are hard to understand even with the help of modern science. Nonetheless, these technologies and many, many others were devised by people living in small villages without libraries, computers or laboratories. "Of course, intelligence is important for human adaptation," says Rob Boyd. "But it is not enough. Our unique ability to learn from each other makes possible the cumulative cultural evolution of superb adaptations—that are at best only partially understood—and this powerful tool has allowed our species to adapt and spread." A virtual twin: Can virtual drivers resembling the user increase trust in smart cars? airplanes were flying long before the creation of aeronautical engg. It's the law of averages, people have an idea of what they want even if they don't understand the intricate underpinnings of what they are doing. But if they try enough variations of a concept, they can hit on a solution. Of course, blind tinkering is after all how evolution works, locally (improved fitness) or globally (constant pressure that reorganizes, such as when fishes became land animals). The necessary and sufficient "understanding" is a memory of the previous generation (of population, or improvements).